Finished Jan 2019. Final score: 4 / 5. Lucy and her friend were cruising down the San Francisco Bay Bridge jamming to some tunes until they got stuck in a traffic jam. While waiting, Lucy's friend, never before suicidal, suddenly screamed, got out, and jumped to her death. Frost, the detective on the scene, starts investigating. Lucy's friend's suicide seems oddly connected to others, and Frost does not believe in coincidences. The leads him to Francesca "Frankie" Stein, a psychiatrist specializing in a difficult-to-believe mind therapy. ...Thus ends my little summary... Please do not read the Audible description if you are considering this book. I felt like it is dropping too many spoilers. The star of the book is your friendly neighborhood cop, Frost Eastman. He is talkative, caring, etc. All around, I personally found him boring. He has zero character flaws. His cat is more interesting. Brian Freeman amusingly decided to give the cat a backstory (triggered by Lucy asking Frost where he got him). It's cute. I enjoyed it, and so will you if you decide to read this book. Lucy is a small-town-girl overwhelmed by the big city, and she played that role a bit too strong. She is a like a child in a 25-year-old body. Fortunately, the book agreed with me. Frost rejects her advances because he feels nothing romantic towards her. So I guess the book gets a point deducted for Lucy's character but then gets it back for being consistent. Frankie is easily the best character. There is an old joke about people becoming a psychiatrist so they can figure out what is wrong with themselves. Frankie certainly fits that, and the book actually makes that joke. She built a very successful career on top of a morally dubious technique. She has no shortage of family issues. As the book progresses, her life and career starts to crumble. Frankie's character makes up for Frost's dullness. The story follows an entertaining crime novel story arc with some nice twists. It moves very fast, which I appreciate, but it is too fast to be believable. I think the entire book timeline is less than a week. After Frost's 2nd investigative breaking-and-entering, I actually stopped the book and verbally yelled: "Do you not care about warrants!??!" His preferred location for important evidence is his coat pocket, and he has no problem with non-officers tagging along to dangerous locations. I enjoyed this book and it easily gets a 4/5. There are more Frost Eastman books, but he is just not interesting enough to carry me to book 2. 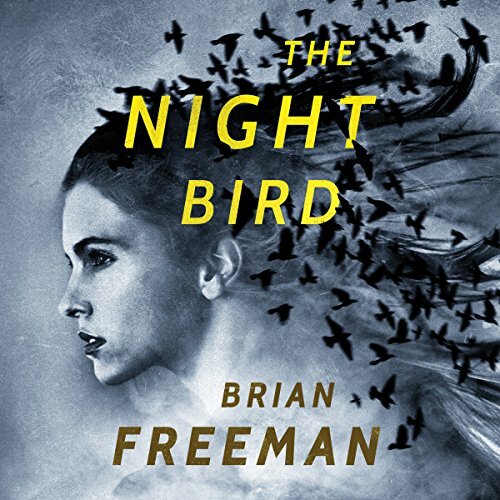 Discuss The Night Bird in the forums.